Watford make the journey to the John Smith’s Stadium on Saturday afternoon where they will face off against Huddersfield Town at 3 o’clock in the Premier League. The visitors hold tenth position right now with forty-six points, level with Everton in the above spot, whereas the home team are already relegated and remain cemented to the bottom of the standings with just fourteen points to their name thus far. Huddersfield Town have lost each of their last five matches in the league, failing to score in three of those outings and conceding a total of sixteen. Succeeding a 0-2 loss at the hands of Bournemouth last month, Jan Siewert’s side almost took home all three points from West Ham when they took a 1-3 lead, which they held onto until the 75th minute of the affair, as the Hammers netted three times to seal maximum points. Then came another away defeat, this time against Roy Hodgson’s Crystal Palace by two goals to nil. Upon the visit of Leicester City, Huddersfield were on the wrong end of a 1-4 result with Aaron Mooy bagging the one goal for his team. Last time out, Huddersfield were beaten away from home by Tottenham Hotspur as the tie finished 4-0. 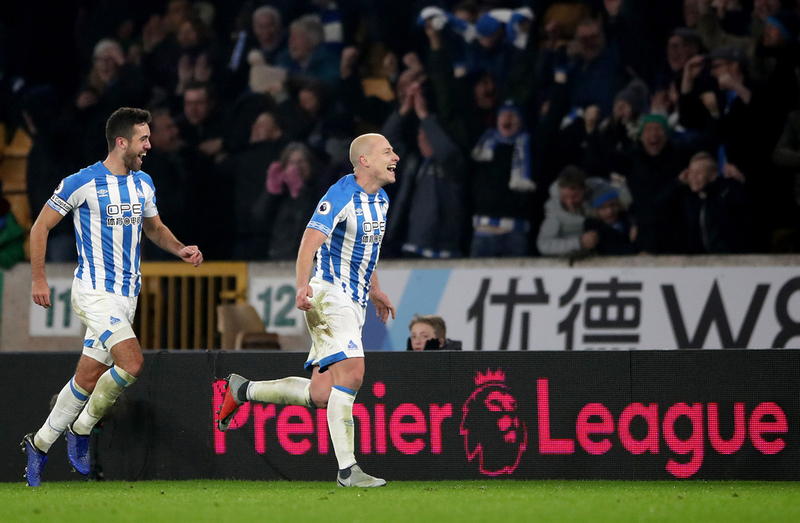 Goals have been a rarity for Huddersfield during the course of this campaign, scoring just nineteen overall and their joint top scorers have netted only three times each, with Mathias Jorgensen, Karlan Grant and Aaron Mooy being the trio to have reached that number. Steve Mounie remains the one player at the club to have provided more than one assist up to now with three for himself, with eight players on one. Adama Diakhaby, Demeaco Duhaney, Isaac Mbenza, Laurent Depoitre, Philip Billing and Terence Kongolo are injury concerns for Siewert going into this one. 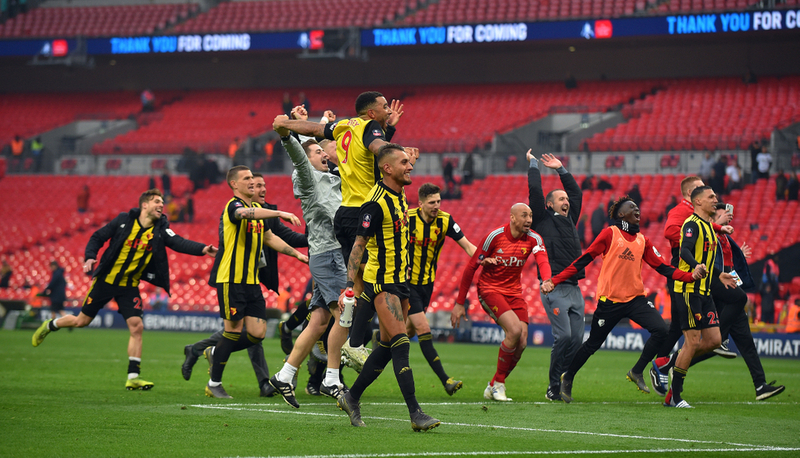 Watford have enjoyed a celebratory past few weeks, with the Hornets making it to the FA Cup final following a remarkable comeback versus Wolverhampton Wanderers in the semi final. With just eleven minutes left on the clock, Gerard Deulofeu sparked one of the competitions finest fightbacks with a magnificent lobbed finish over John Ruddy and into the back of his net, leading to his side eventually running out 3-2 victors after extra time as Deulofeu again scored, this time for the winner. However, this positive attitude did not last long as their most recent outing resulted in a defeat to Arsenal by a solitary goal from Pierre-Emerick Aubameyang which came from an error made by Ben Foster who kept possession of the ball for far too long and was ultimately punished by the former Borussia Dortmund forward. One minute later, Troy Deeney received a red card for an elbow on midfielder Lucas Torreira. Deeney is the leading scorer at Watford with nine on the board thus far, two more than Deulofeu and three clear of Argentine midfielder Roberto Pereyra. The 30-year-old striker has bagged two goals in his last three appearances but will be forced to sit this one out due to suspension, while Deulofeu has netted three times in his last five games for the club. On the assist charts, it is Abdoulaye Doucoure and Jose Holebas who sit at the summit with six each, one clear of teammate Deeney. Isaac Success and Pereyra are injury worries for Javi Gracia.